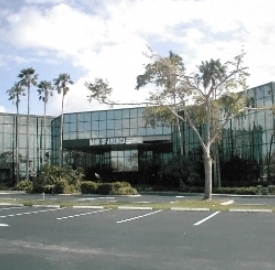 Avison Young’s Florida Capital Markets Group completed the $13.85 million ($173 per square foot) sale of the 80,000-square-foot Bank of America office building at 1776 N. Pine Island Road in Plantation. The building last sold for $10,900,000 in December 2012. On behalf of Transatlantic Investment Management Inc., Avison Young Principals David Duckworth, John K. Crotty, CCIM, and Michael T. Fay, facilitated the disposition to the Kislak Organization, a privately held firm based in Miami. The sale represents the fifth transaction the team completed in Plantation to date in 2018 totaling more than $66 million. For the acquisition, Kislak also engaged the Florida Capital Markets Group to secure a $12.05 million loan. At 80 percent loan-to-value, the loan was negotiated by Avison Young Principal George Vail and financed through Popular Bank for a 10-year term with a 2-year interest-only period, after which it will transition to a 25-year amortization schedule. The interest rate was 4.6 percent. According to research by Avison Young, Plantation is one of the tightest office submarkets in Broward County. As of third quarter 2018, the submarket saw no new construction, one of the lowest vacancy rates which posted at 7.23 percent, and the highest total net absorption level in the county with 78,350 square feet absorbed.